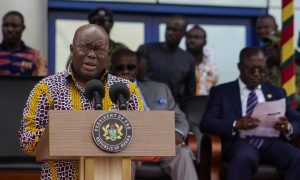 On the 15th September 2017 marks a historic transition into the technological era for the Ghanaian people. 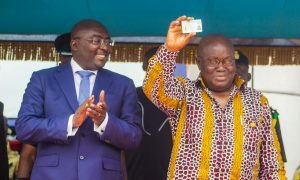 It was an honored to have the President of our great nation Nana Addo Dankwa Akufo-Addo present at this momentous occasion as the recipient of the first Smart National Identity card. The Vice President Dr. Mahamudu Bawumia was also present. Identity Management Systems (IMS), Intelligent Card Production Systems (ICPS) and Margins ID Systems Applications Ltd, all subsidiaries of @MarginsGroup have worked tirelessly to bring Ghana card to the Ghanaian people and they are beyond proud that that day came to pass. The Ghana Card will enable other stakeholders to run their applications on the national identity card. Ultimately, the card would replace the sectorial identity cards in circulation, and shall be the only card to be used in transactions where identification is required as provided by law.Congratulations to the Ghanaian people and welcome to the new technological era!